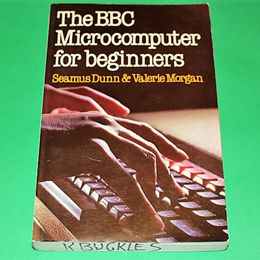 Provides a n excellent, complete introduction to the BBC and programming in BASIC, assuming no experience or mathematical skill, each stepillustrated with sample screen responses and programs. Covers program presentation, structured programming techniques, conditionals, loops, file management, strings, formatting, user-defined keys and disk drives. An excellent 314 page paper back with some "damp" marks, but in overall perfectly usable condition.